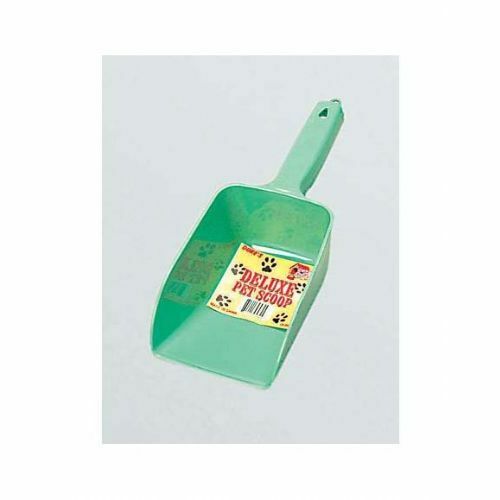 Ideal for scooping dry food, this Deluxe Pet Food Scoop features a durable plastic scoop with measurement lines ranging from 1/2 cup to 2 cups. Scoops have hanging holes placed in the handles for easy storage. Measures approximately 12 long with scoop measurements of 4.5 x 6.75 x 3.25 deep. Comes in assorted colors. Comes loose.